Join us for this webcast as Eric Feldman, Sr. 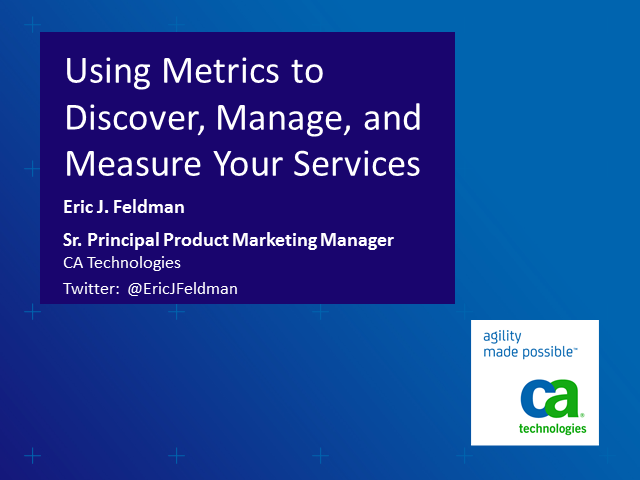 Principal Product Marketing Manager, CA Technologies highlights what you need to know about using metrics to plan, build, and run services, and why this is important for any IT environment. Learn how different industries use metrics to measure business capacity as well as practical tips and tricks to identify the cost of providing services to enable the business to understand their own consumption rates.